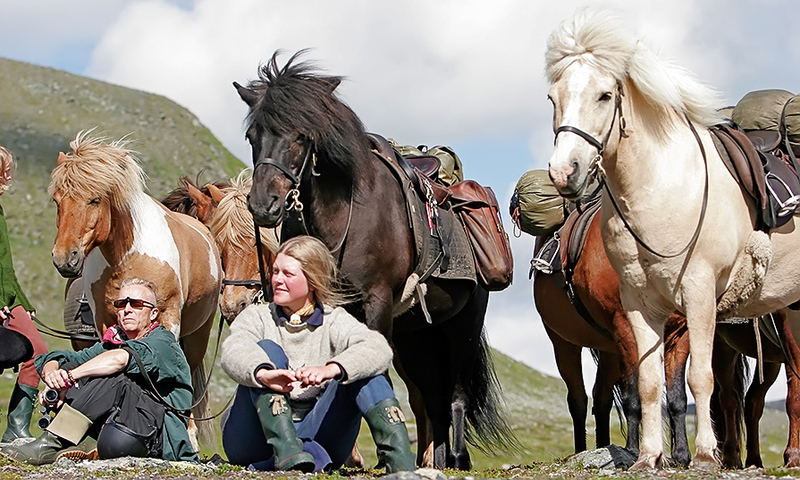 Experience Ammarnäs and its mountain surroundings from the Icelandic horseback. Two different day excursions, a four- and a three hours tour respectively are offered. The riding is mainly a landscape event where you as a participant should have some riding experience. Upon agreement and if there are vacancies during the period 2 of June-21 of October. 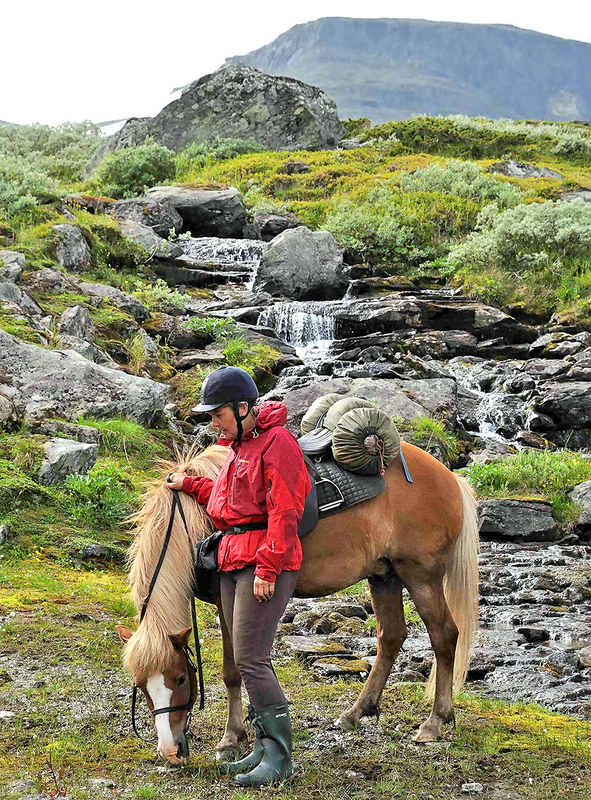 A tour with beautiful views where we follow the mountain Näsberget up to Småfjället and the fair views of the Skeble valley. We continue to Fjällhästen’s spacious cot at Tjaskal where we take a break and eat the lunch packages we brought with us. On our way home we pass across the mountain Mittiberget and once again get to enjoy the mountain views. 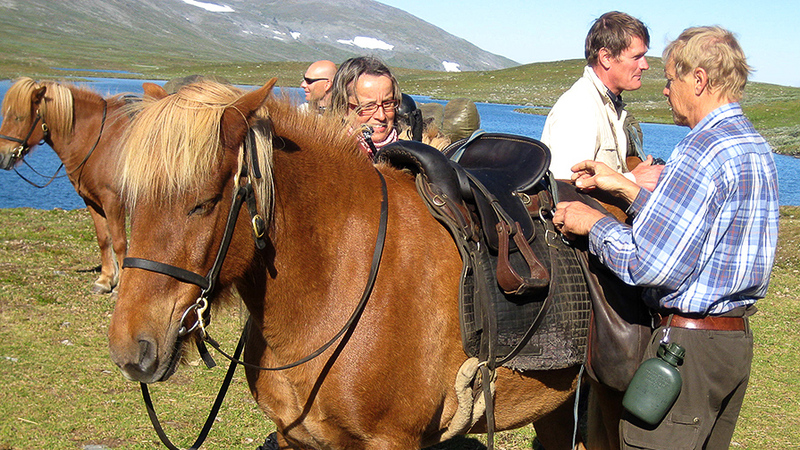 1 300 SEK per person (lunch package included). 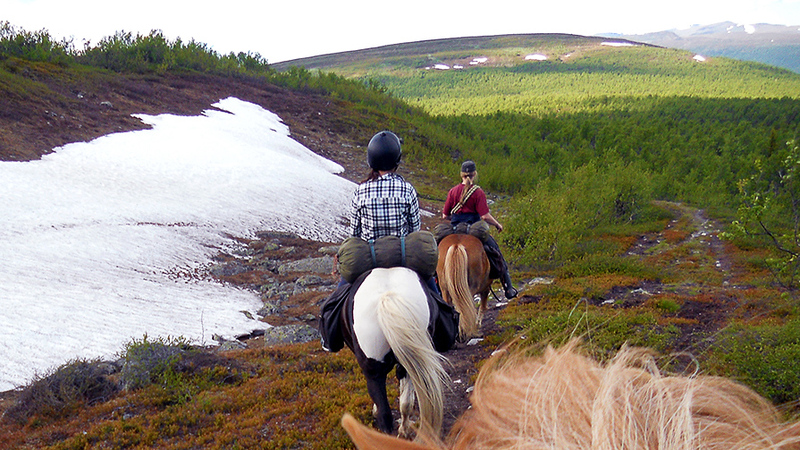 We ride through northern Ammarnäs and follow the lake Gautsträsk to the brook Bissanbäcken’s outlet. Then we take the path up to the old mountain location Örnbo, which is situated on a bluff ledge above Gautsträsk. With a view of the landscape we have our lunch before heading back home again. We try the gait rack and galloping for those who feel up to it. 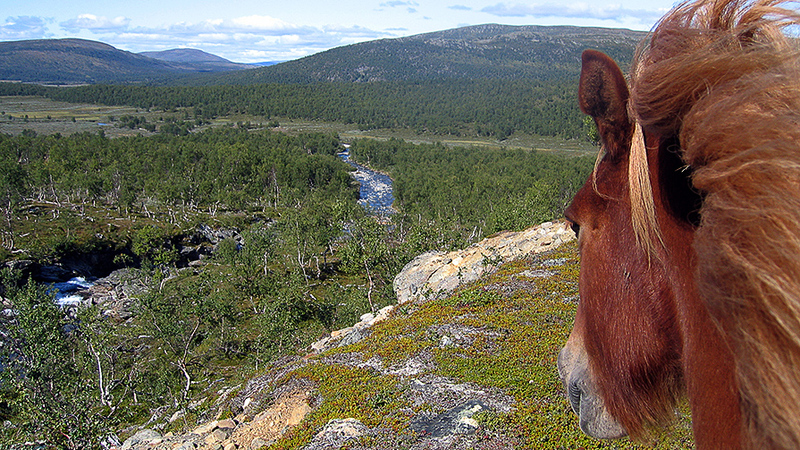 A tour with beautiful views north of Ammarnäs. We follow the mountain Näsberget up to Småfjällen where we have a magnificent view of the Skeble valley. 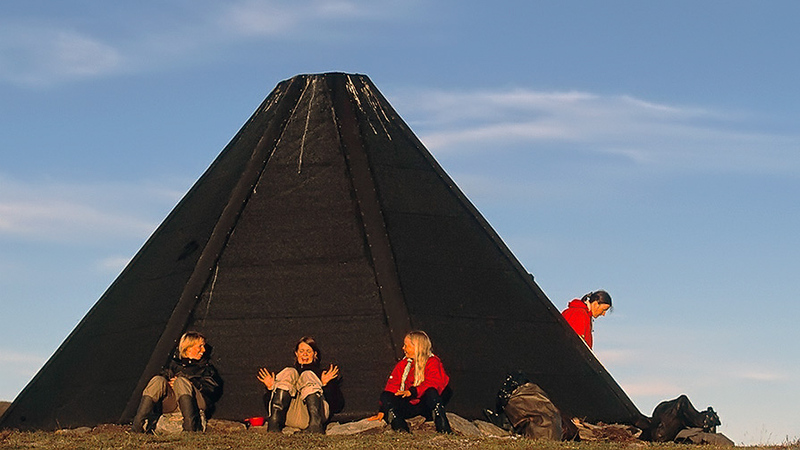 750 SEK per person (picnic coffee package included). We cross the creek Tjulån and follow the creek’s southern border down to Ammarnäs and stroll through the village to see the Potato Hill and the Lapp town. We also try the gait rack during the tour.